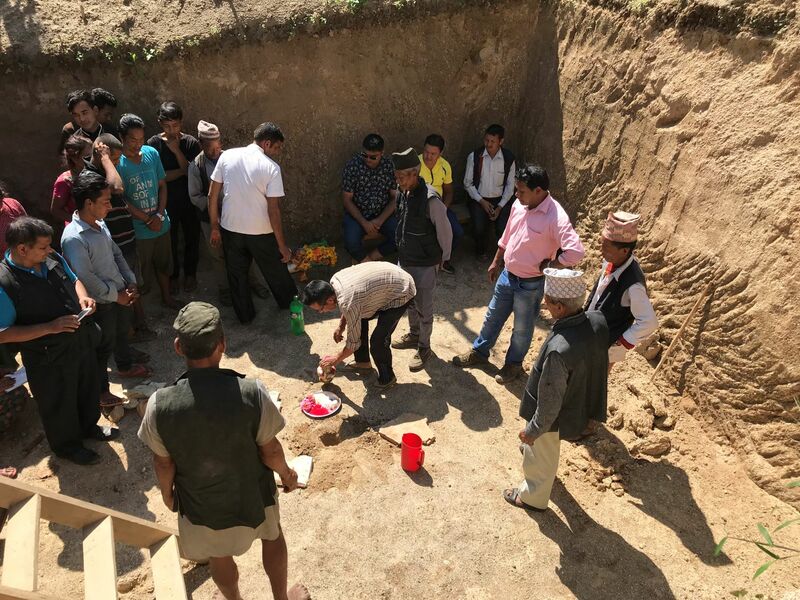 Kavre is one of the major project sites where various projects and activities are conducted by Nepal Jesuit Social Institute. On 14th September 2018, foundation was laid for women’s activity center at Mandendeupur. The beneficiaries will be Deridevi Women’s group who came tog ether to be self-reliant. Most of them belong to Tamang community who are involved in agriculture and animal rearing. Now, they are planning to use that center for conducting meetings, developing skills through various trainings and to discuss agendas for social and economic community development. This revolutionary idea was suggested by Deputy Mayor of Mandendeupur Municipality, Nirmala Shahi. 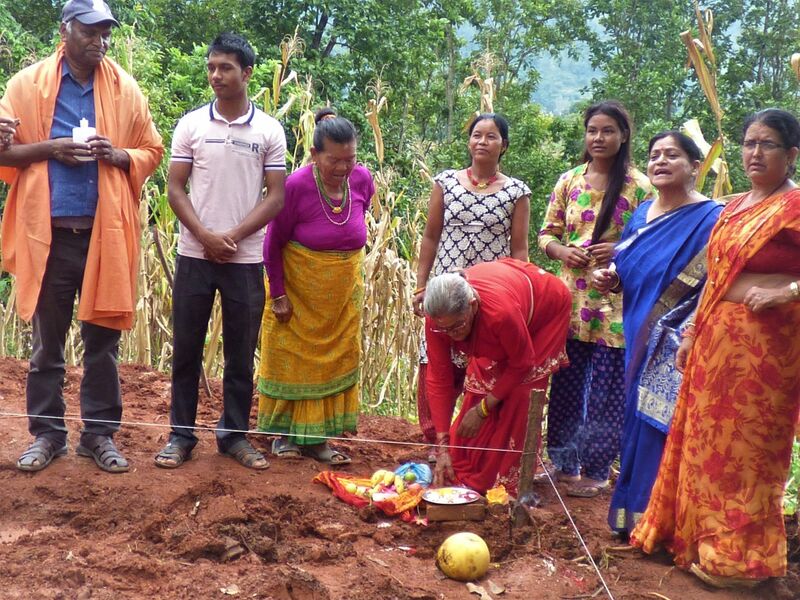 For the foundation ceremony 13 people gathered from the locality. They were very thankful to NJSI for making them believe in their capability and showing an approach for independent living. 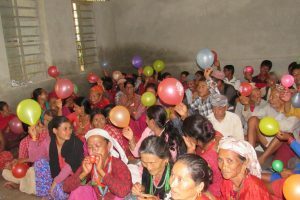 Parents of Balephi gathered on the premises of Shree Saraswoti Secondary School, Sindhupalchowk on 19th September, 2018 for Parents’ Orientation Program. A total of 69 parents had gathered and the program was delivered solely by the resource person Ms. Anita Gurung in the presence of NJSI team. Program primarily focused on using effective communication as a means to bridge the gap between parents and children and helping them to understand their children in a better way with a bit of awareness on importance of education. The program included fun learning activities, relatable videos and informative slides to make them grasp the information easily. Even grandparents were involved in the orientation which shows their concern about their grandchildren and interest in learning new things. The parents were affirmative towards the program and expressed that they can relate it with themselves and will incorporate the content of the orientation in their daily lives with their children. Asian University for Women (AUW) is an independent, international university based in Chittagong, Bangladesh which educates competitively selected students from 15 countries across Asia and the Middle East. 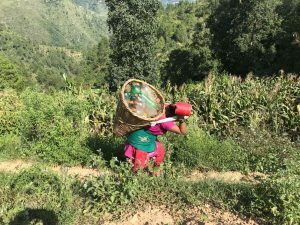 Nepal Jesuit Social Institute and AUW has built partnership to facilitate recruitment of 15 girls from high trafficking prone districts of Nepal specially those who have closely suffered the consequences human trafficking, through Pathway for Promise Program. The aim of this initiative is to provide fully funded education opportunity and exposure to international community to such students so that they will receive required skills to emerge as empathetic, empowered leader working to eradicate such heinous crime from the society. 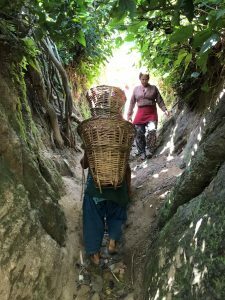 In the journey of the outreach intervention, NJSI has been reaching out to the organizations who have been leading anti-human trafficking and exploitation movements in different districts of Nepal. We are appreciative towards their relentless effort to prevent, rescue, rehabilitate and protect the vulnerable groups. NJSI and AUW seeks to provide platform for such girls to project and polish their potential clogged by the gloomy background. In a recent orientation program conducted in participation of 7 different NGOs, an applicant supported by Chhori shared her story of fighting harassment in the entertainment sector in central Kathmandu. She did not recite the story of misery and suffering, instead she projected hopes of rising again and enthusiasm to attain new life of empowerment through opportunities as such. The application for this Pathway for Promise program is open now until 3rd October 2018. Organizations who are working to protect girls of with such background and vulnerability are encouraged to contact NJSI for this opportunity. NJSI will also be holding an Orientation Program at the office on 25th September at 11 am. Interested organization and individuals are most welcome to join the program. To learn more about the program, please feel free to contact us directly. 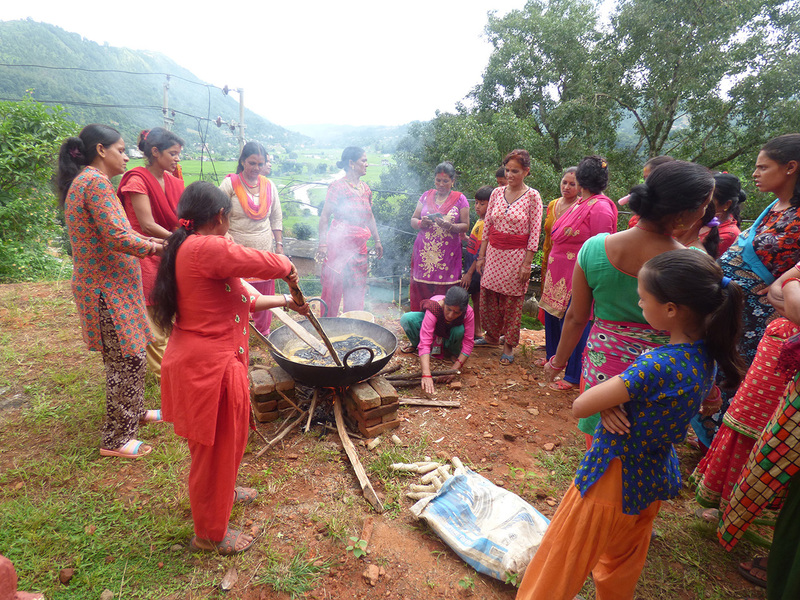 On 24th Bhadra 2075, a three day elongated program was organized by Nepal Jesuit Social Institute on Soap Production Training for Kalidevi Women’s Group, Kunta, Kavrepalanchowk. The group is comprised of 106 women of 18-70 years of age with diverse ethnic background in which Brahmin community is in the majority. 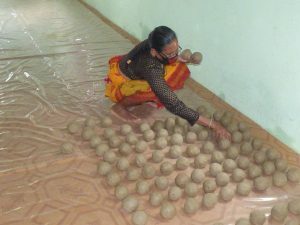 Each day on average more than 30 women participated in this revolutionary project of promoting women to empower themselves through skill development and income generating training. Participants showed their keen interests in learning the each steps through their active participation.Prior to this training, they were all disseminated into several groups and were involved in an individual income generating works which were not as sustainable as they are now when they come collectively in soap making and community development. 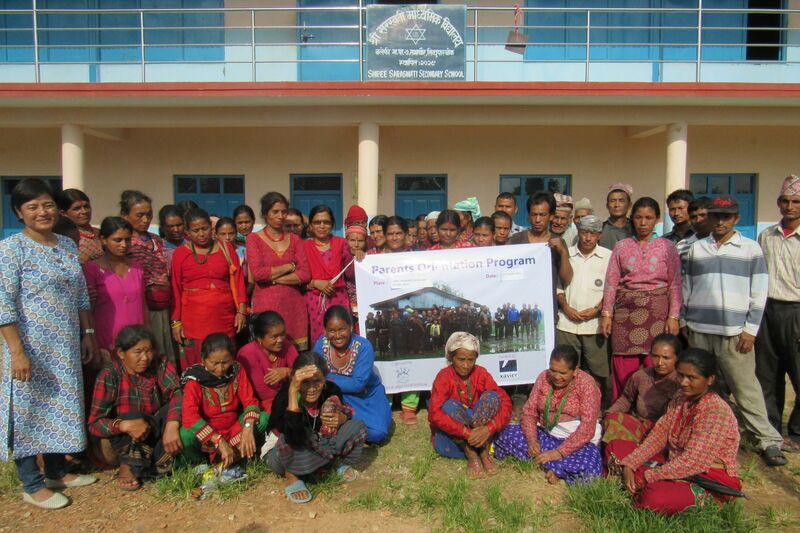 They were happy and thankful to NJSI for making them aware of sustainable living and communal work. 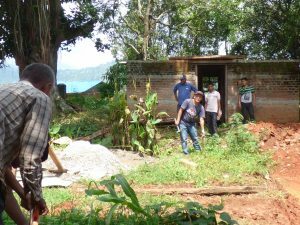 NJSI has been supporting the group from the beginning and have already built an activity center for them. 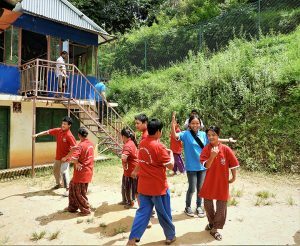 A day aside for happiness and cherishing the children in our lives was celebrated on the occasion of Children’s Day on 14th September 2018 for the students of Bhagawati Higher Secondary School at Susta Manasthiti Punarsthapana Kendra , Kharelthok, Kavre. 20 children participated in the program organized by NJSI team. The day was followed by a dance session, fun activities and delicious meal. New T-shirts for children were arranged as a gift for the occasion. Clad in their new clothes, the students eagerly headed to the ground to dance to the beats of the music played. The program was designed simply to celebrate an officially marked day for children doing what they are fond of. The happiness was seen on their faces while they were dancing and excited to receive gifts as they were very eager to get their hands on the new cloth and wear it as soon as possible. They enjoyed their best by getting involved in fun activities and dancing on the beats. Sudha Silwal, supervisor of the center and a teacher, acknowledged NJSI for the entertaining program. Children also expressed their happiness through non-verbal means by getting involved throughout the day celebration despite the hot sunny day.